Posted by tombraiderfanboy in Fan Pulse. TRKO of Tomb Raider Forums has created a jaw-dropping cinematic tour of Croft Manor as it appears in Tomb Raider Legend. It achingly reminds us that Lara’s mansion, as we see it here, is now gone after having been set ablaze by Lara’s doppelganger in Underworld. And it also reminds us — on a more nostalgic note — that Tomb Raider start-up menus once looked like this: the stunning fly-by camera views of old. Sigh. Feel free to five-star the video on YouTube. You know it deserves it. 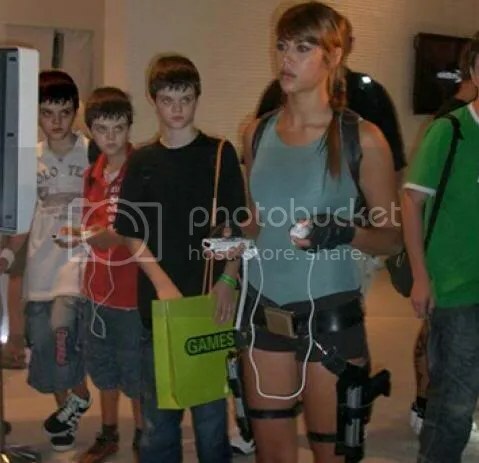 Posted by tombraiderfanboy in Fan Pulse, Lara Croft. Nicobass, you are awesome (yes, they are fan-made, and yes, there are LOADS more through the link). That is all. Among other sizzling leading ladies of gaming, that is. Thanks to Obama Girl for surveying E3 ’09. Posted by tombraiderfanboy in Crystal Dynamics, Fan Pulse, Future Games. It’s either this world or that. No pulling off a Hannah Montanah, no getting the best of both worlds. With every resource devoted to building the combat system, time spent on polishing Lara’s world, her environment, and the peril that comes with it, is wasted. Instead of hiring a concept artist who specializes in creating Lara’s gears, guns, weapons, a techman who gets into the details of collision detection, the sequencing of gunplay animations, and a lead combat programmer who ensures that all contributions are in place to at least have a playable combat system — why not hire more people who can work in collaboration on the technical aspects of exploration, Lara’s animation, the direction of real-world peril, and the visual fidelity of the world Lara’s in? The fix is this: Let go. Like a grudge you’ve unconsciously nurtured against that heartbreaker, just let it go. Let it go like you would a nasty habit you’ve developed in the past year on a January 1st. Focus on what really matters: the aspect of you — err, rather — of Tomb Raider that undoubtedly deserves the greater attention. More so than crushing shoe-sized Thai bugs, pumping lead into albino arachnids, exchanging bullets with Lindstrom clones, and, yes, even Lara herself. What then would be the sense of danger in Tomb Raider? While the vertigo-inducing, vertical-scaling ways of Lara Croft are enough to give us that tingling feeling, why don’t we take it a step further, by looking back, far back into the ’90s? Tell me, Team Lara, what happened to real dangers of boulders running into and after Lara, chasing her down a tunnel filled with spike pits and swinging blades? The age-old handles that crumble at Lara’s softest touch? How about the crushing floors that open doors into pitch-black abyss? You had them. But they weren’t enough. The danger that Tomb Raider offers belittles what cover-based combat does — the combat system that almost every single third-person game is now trying to emulate. The peril of Tomb Raider is in the environments. Ones that Crystal Dynamics barely had, but still had — albeit in a far more superficial level — in their last three games. These environmental dangers should feel real and of consequence. They should challenge the players, but never frustrate them. It’s always been said that combat serves as punctuations amid strings upon strings of words, of solitary exploration, and of cerebral puzzle-solving in ‘Raider world. Instead, why not punctuate the immersion with sections much like Legend’s Nepal? — That part that required the player to do acrobatic combos to survive the crumbling structures on the face of the snowy mountaintops? How about the timed section in Anniversary’s Atlantis where, unless you pulled off the precise string of acrobatics needed of Lara, you would always end up falling into the lava pit (picture above)? 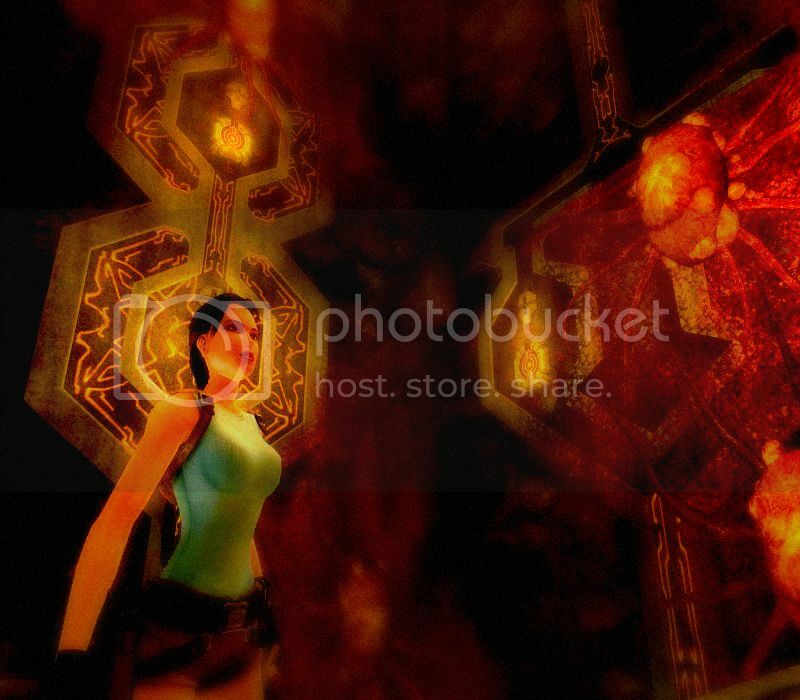 The fire room in Anniversary’s Greece should also bring up some memories of being challenged, as should Underworld’s sinking ship, had the environment been more consequential on Lara’s health bar. Such are perils of the environment — ones that Crystal Dynamics showed they themselves can deliver. There should be nothing to stop them from giving the fans more of these, and less of the panther-kicking action of late. Give us real danger from the environment — ones that test our ability to control Lara with utmost precision and our capacity to keep our cool during instances of extreme time pressure. Give us that, and then we start completely ditching gunplay. BUT THEN, with all this inspired fantalk of having 0% combat in the next Tomb Raider game, one important question would have to be asked: What would her twin pistols be for then? Answer “nothing”, and you might just get a ‘Raider innovation right at your fingertips. Answer “something else” with a critical-enough mind, and you might just get the same. Posted by tombraiderfanboy in Fan Pulse, Underworld. You can jump through here to read the full Mommy Dearest feature, presenting the best and worst mothers in gaming. Should be a good read considering it’s almost Mothers’ Day. 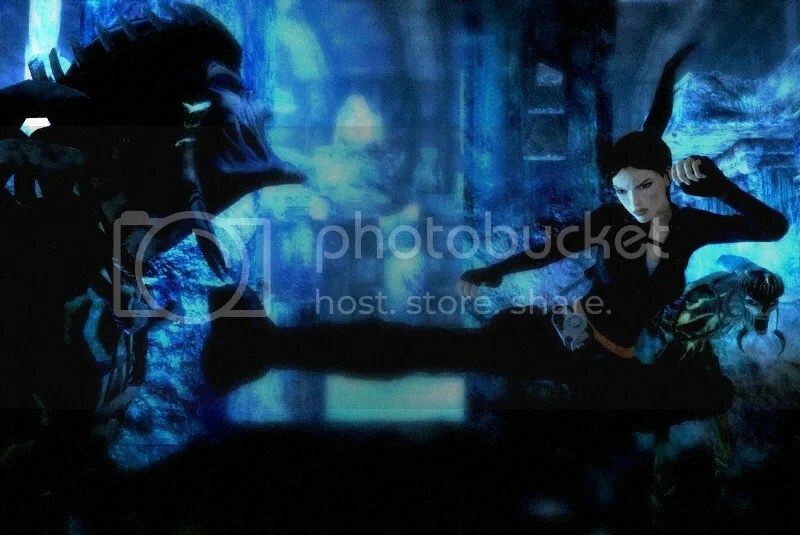 Posted by tombraiderfanboy in Fan Pulse, Lara Croft, Underworld. Jonathan Rush, the man behind the character models for Tomb Raider Anniversary and the Wii version of Underworld, is set to give a workshop on “Modern Game Character Creation,” an eight-week course sponsored by CG Society. The workshop will give you a hands-on experience creating and modeling your own character. Rush will guide you through the conceptual stage and the modeling stage itself covering various topics from hard surface modeling, detail-adding, creation of in-game mesh, adding textures, to adding the finishing touches to your own Lara Croft creation. Registration’s until 21st May. Classes start on the 25th. Should be a good way to jump-start your career in the gaming biz. Just make this jump to CG Society for more details. You can hop on to Jonathan Rush’s official website to view his own character creations, as featured in an earlier Fanboy post together with other unofficially released ‘Raider artworks. What if characters from different video game titles went to the same school? What if that school was called Gaming Characters High School? What would Lara have been like to, say, Samus Aran? Mario? 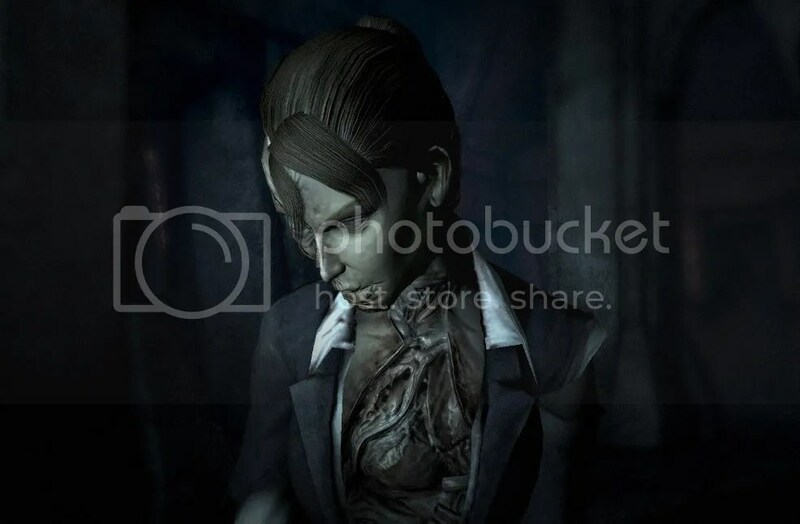 Leon Kennedy? 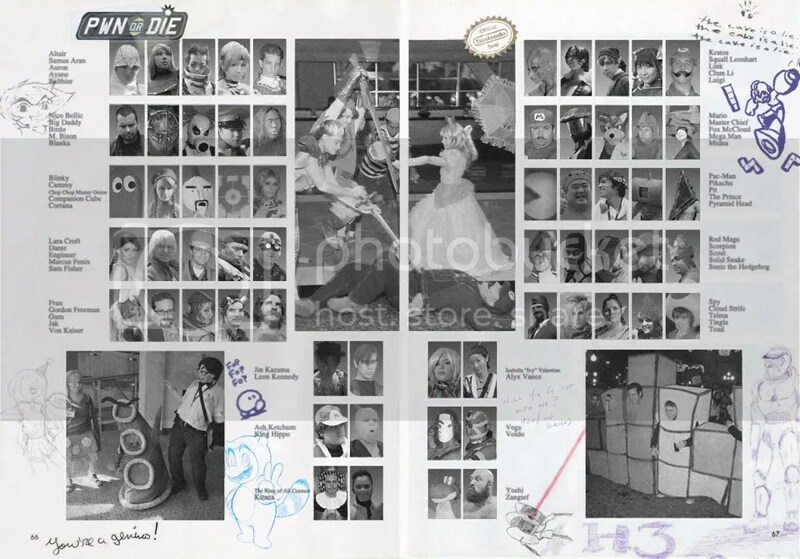 Well, PWNorDIE is showing you two leaves of the yearbook of Lara’s what-if high school batch. This is what it might look like (click on image to embiggen). Can you spot our favorite tomb-raider? Playing ‘Raider on Wii seems hypnotic for Karima and…those kids…what are they? A shift in dev team. A change in engine. A jump from one publisher to another. Through the years (thirteen years, to be exact), through the many dramas in her tenure as tomb-raider, Lara has become more comfortable showing her emotions, especially after the many twists and turns of her life career of being a Eidos’ flagship vixen. Fortunately, we’ve fuzzycroft of Tomb Raider Forums to capture these different sides of Lara…putting it into comparison with her circa 1996 self. Created with the infamous XNA Lara program developed by Dusan, this work by fuzzycroft shows that Lara is indeed capable of showing all sorts of expressions. Fuzzy is not alone in making the different facets of Lara’s personality known, however. 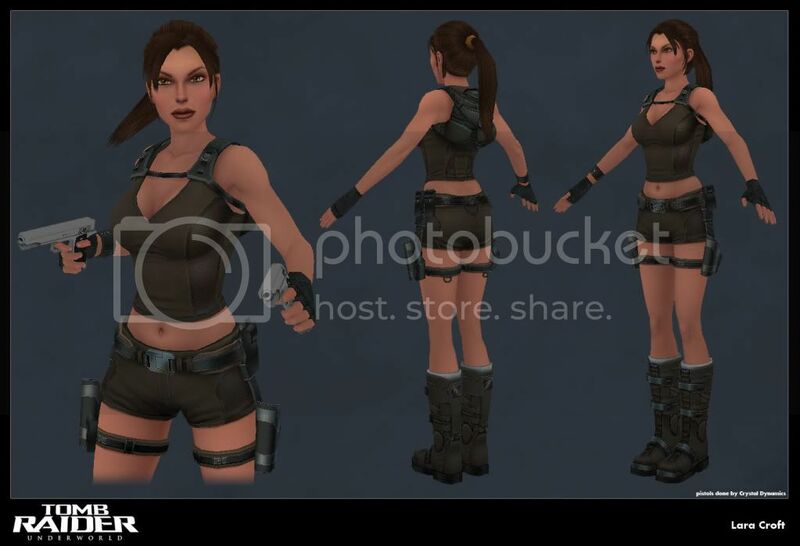 Folks over at Tomb Raider Forums have managed to create hail-worthy Lara Croft artworks through XNA Lara, ranging from recreations of Lara’s classic ’90s poses, renders of what-if video game crossovers, to high fashion-esque shots of Lara in her raiding outfits. Truly, XNA Lara has become a ‘Raider phenomenon within the Lara Croft fandom. Every now and then, Tomb Raider Fanboy will endeavor to bring you exceptional fan creations inspired by anything Lara Croft and Tomb Raider, and this is one of them. Hop on to Fan Pulse to see what we’ve featured so far. Posted by tombraiderfanboy in 360 DLC, Fan Pulse, Underworld. 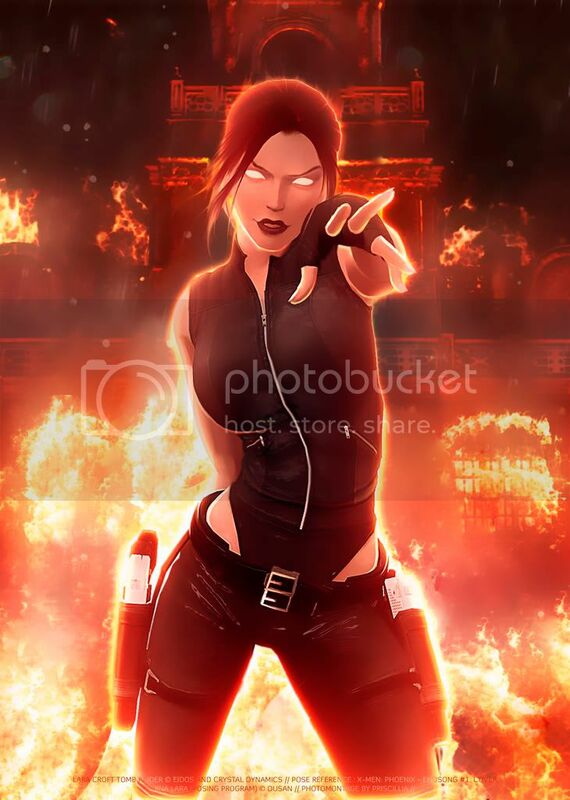 To celebrate the upcoming release of Lara’s Shadow, which has thus far been confirmed to star Lara’s doppelganger who will have shadow-y superhuman abilities, Priscilla of Tomb Raider Forums (DA page here) has created a sublimely wicked render of Lara’s evil twin. Posed through Dusan’s brilliant XNA Lara program, the doppelganger is set against a backdrop of the burning Croft Manor. She was made to have the same pose as Phoenix of the X-Men series as she appears on the Phoenix Endsong cover. You can see comparison shots here. Be sure to drop by our Fan Pulse bundle of posts to have a look at the best of the best the Tomb Raider fandom has to offer.